High quality clear crystals adorn this deluxe chrome plated LED contemporary pendant, fully enclosed by a beautiful prismatic glass diffuser. 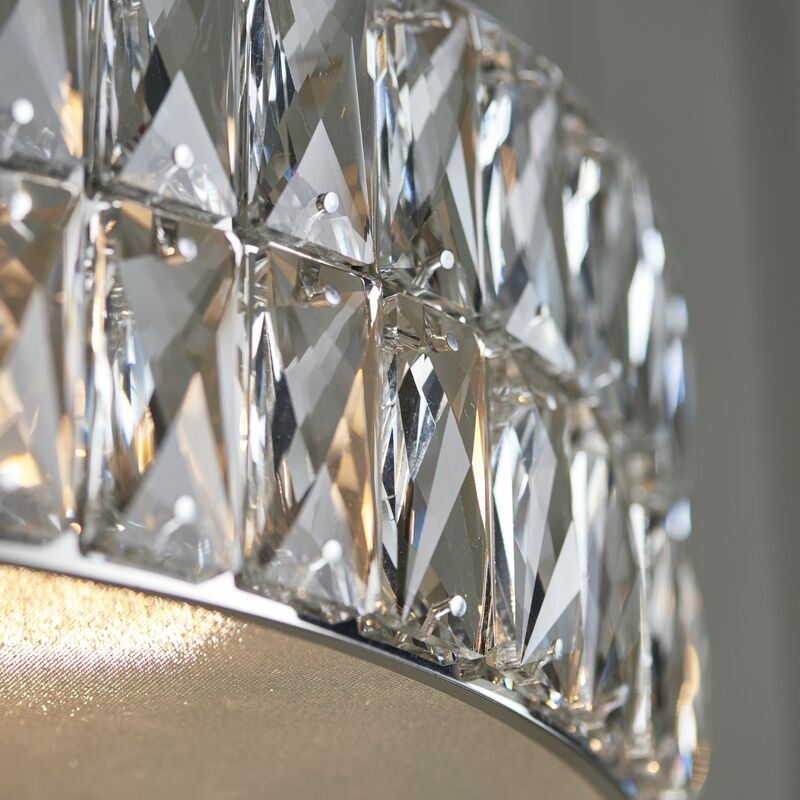 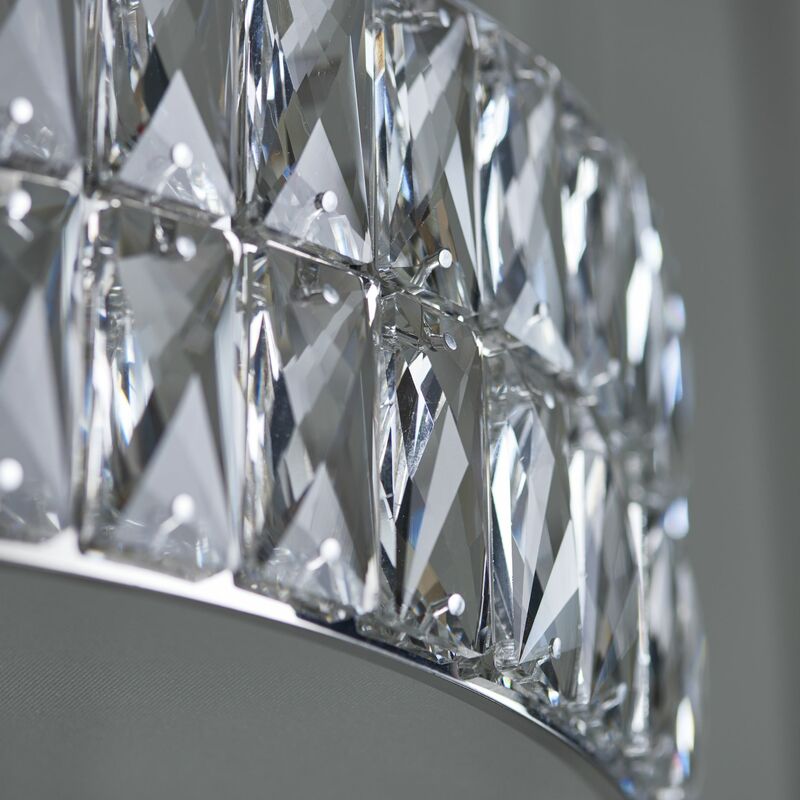 The combination of clear crystals, polished chrome and glass create a luxurious interior decorative light pendant. 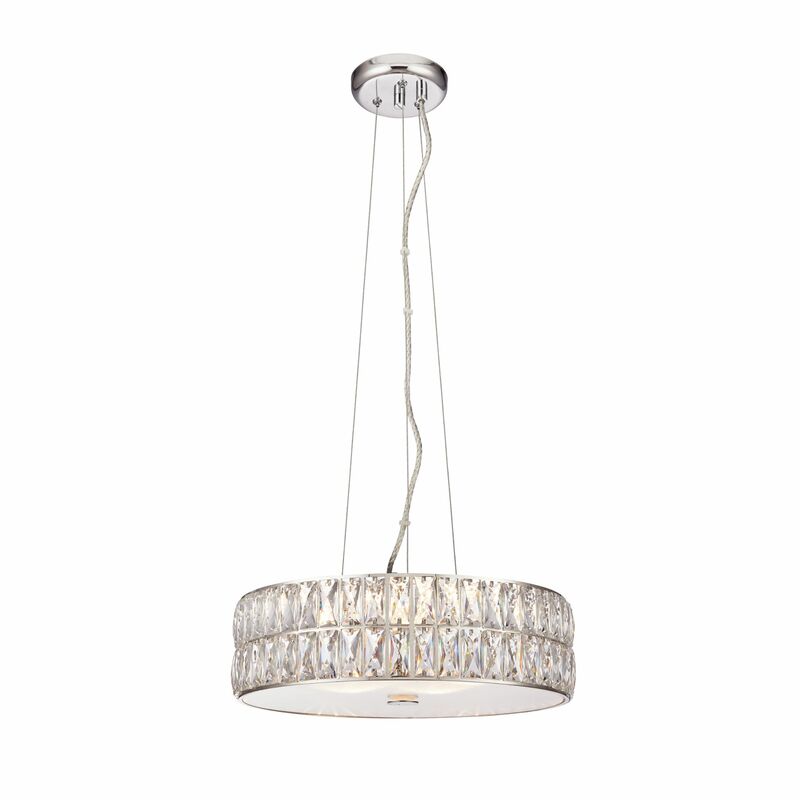 Suspended from thin wire and clear flex with integrated LED light source for bright light output.